New York City-based Studio Cadena has designed Masa, a new restaurant in a northern residential neighborhood of Bogotá, Colombia. 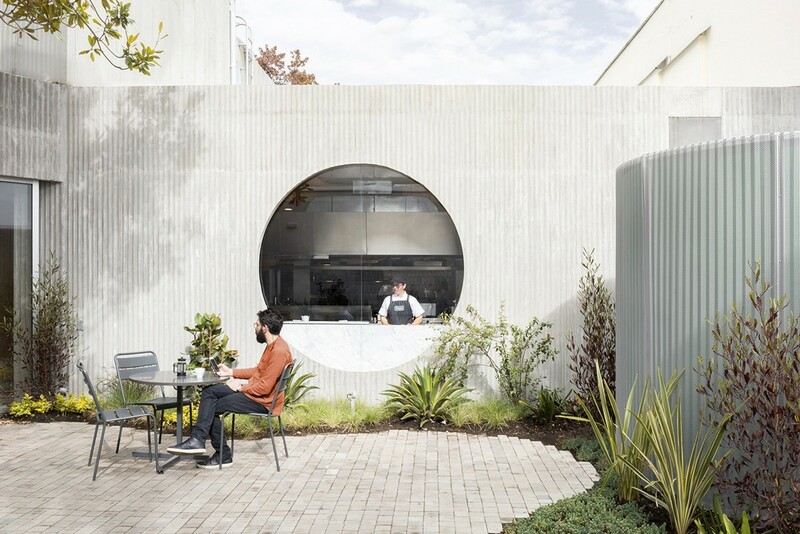 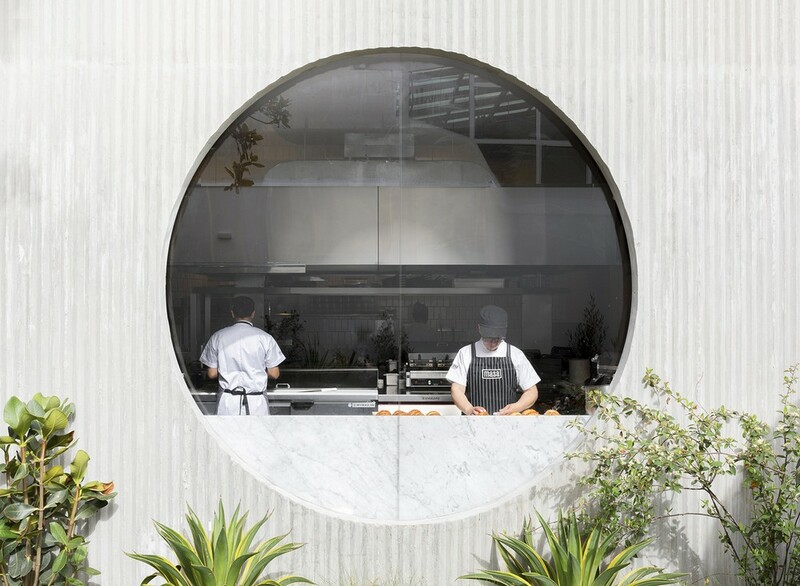 The restaurant is built at residential scale, on the site of a former house that had gone through multiple residential and commercial iterations over the years. 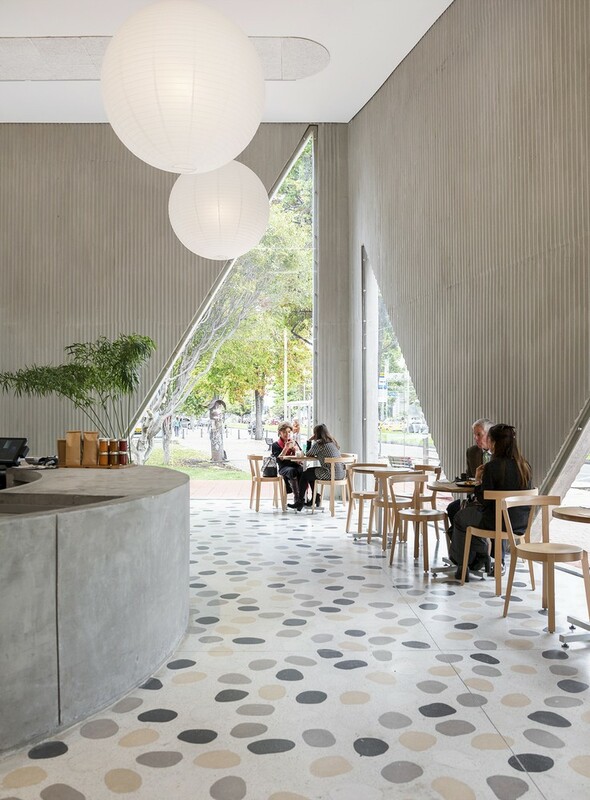 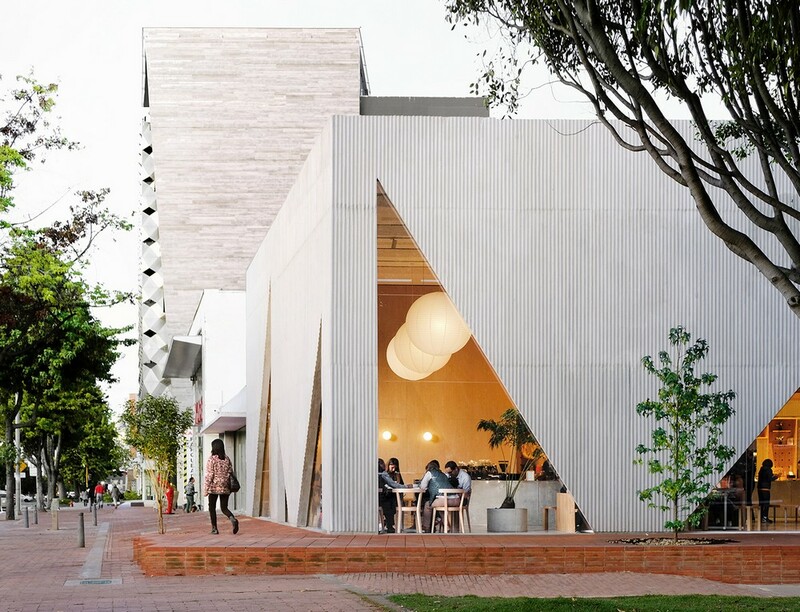 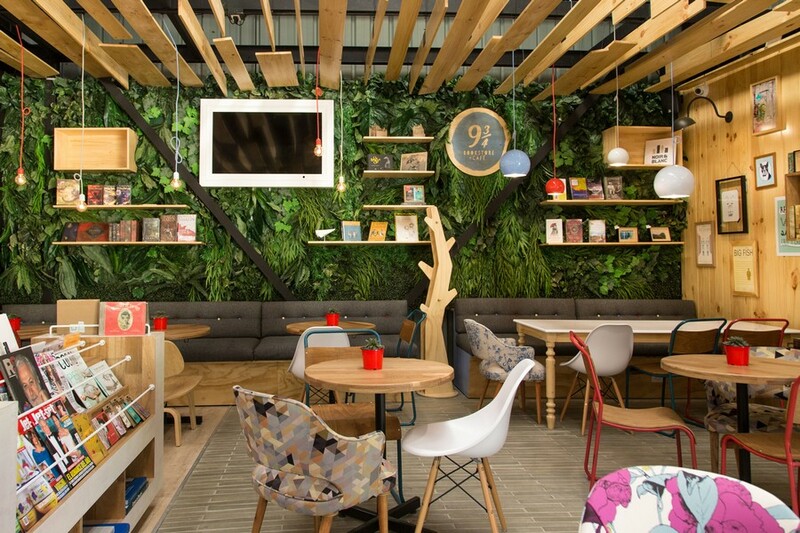 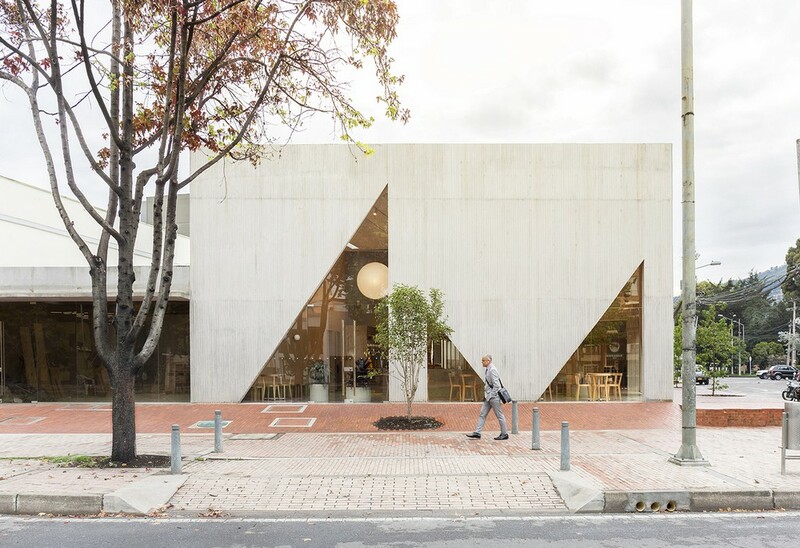 This is the second and largest space that Studio Cadena has designed for Masa, the first, also in Bogotá, is a smaller cafe that opened in 2014. 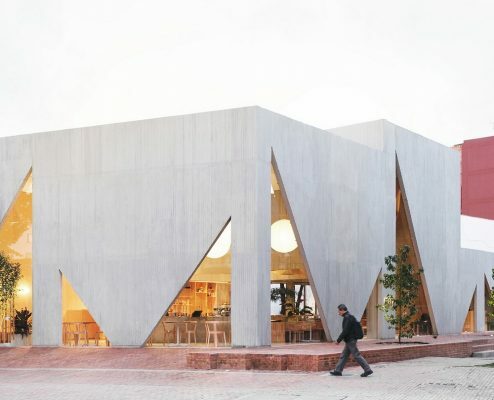 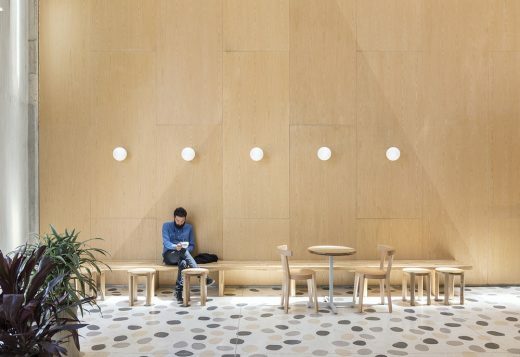 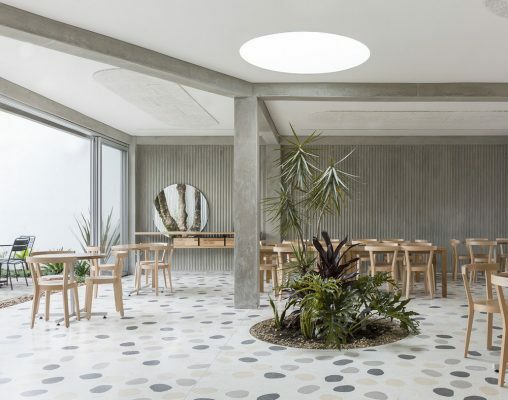 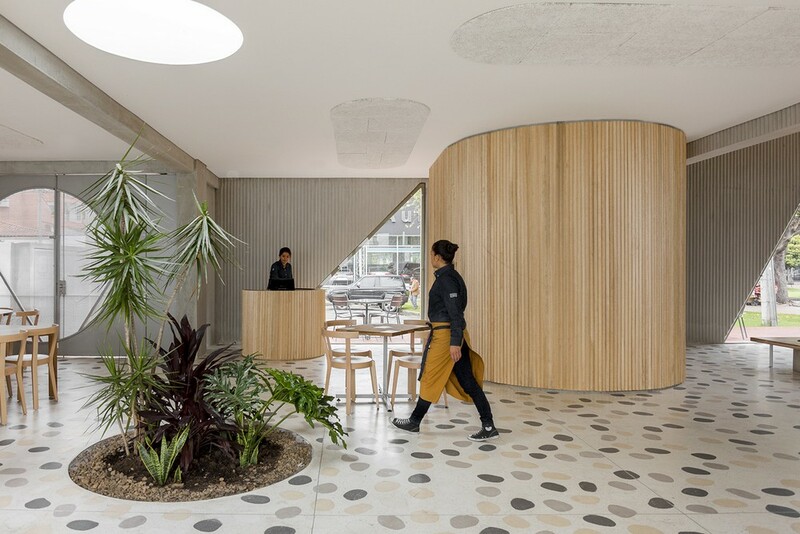 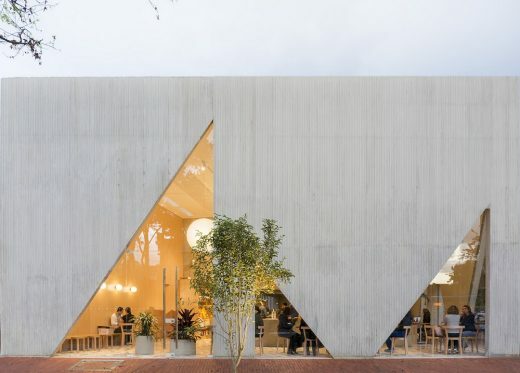 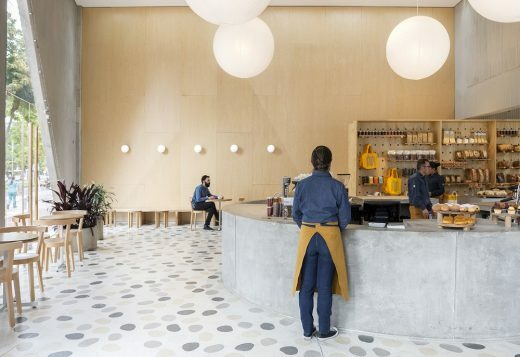 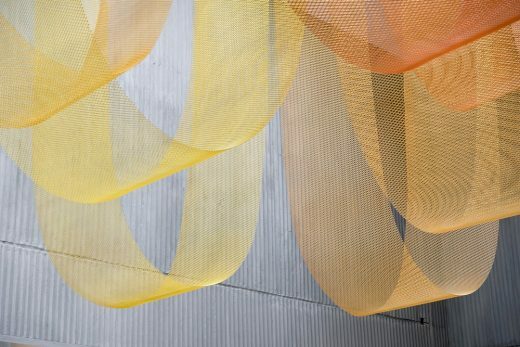 The 7,500-square-foot restaurant is organized as a grouping of distinct but interconnected volumes, each with a particular function. 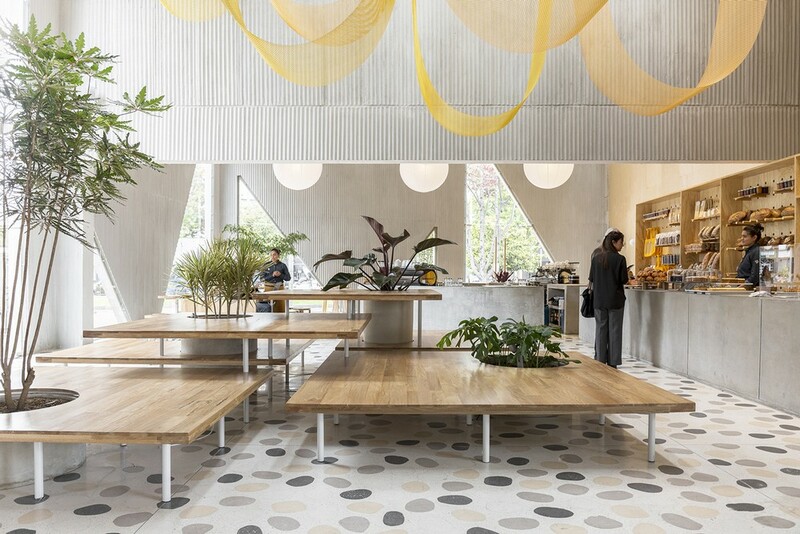 At one corner sits a cafe and bakery, which flows into central entrance area that is adjacent to a dining volume and separate retail space. An outdoor patio space provides garden seating and connects the public spaces to the kitchen in the rear. Elements such as a long concrete bar, cylindrical wood-clad service station, and a multi-tiered seating platform at the entrance serve to modulate the space. These elements are born of an interest in updating techniques commonly used in Bogotá (such as terrazzo) as well as introducing new ones that are unique to the area all part of a loose, cross-referential design context, and a restaurant that requires minimal branding. 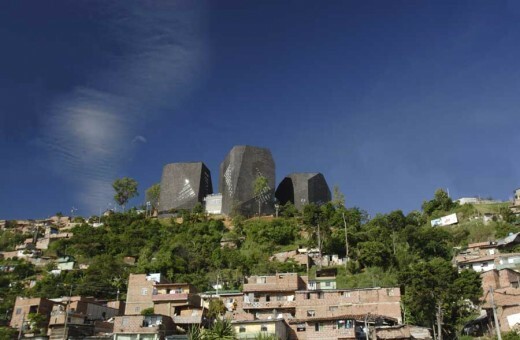 “The strategy from a design standpoint was that the building does the work”, says Cadena. Brooklyn and Bogotá, the studio was selected in 2016 by the American Institute of Architects for its biennial New Practices NY Award. 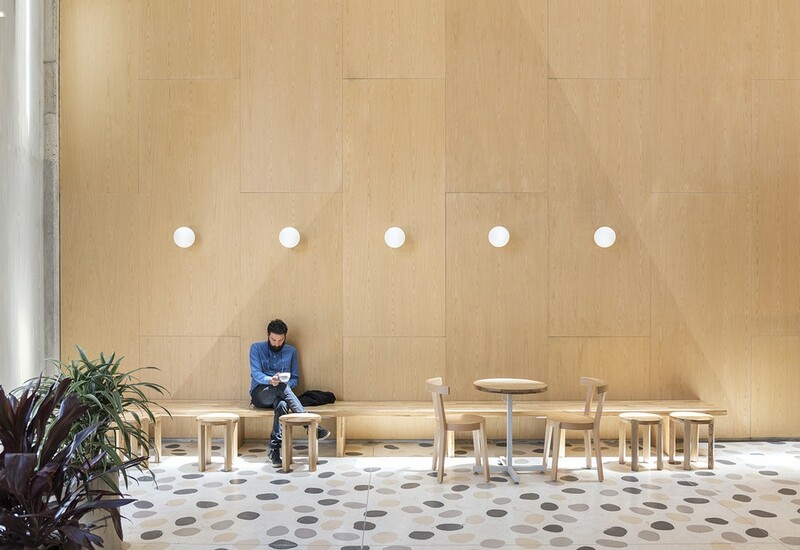 Forum and the recipient of the 2016 AIA New York New Practices biennial award. 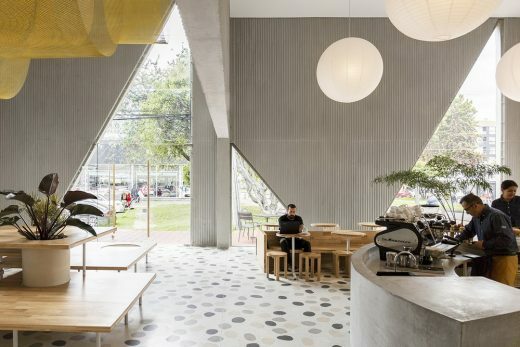 Masa is an artisanal bakery and all-day café located in Bogotá, Colombia. Founded in 2011 by New York transplants, sisters Silvana and Mariana Villegas, it has quickly become a darling in the city’s food scene. 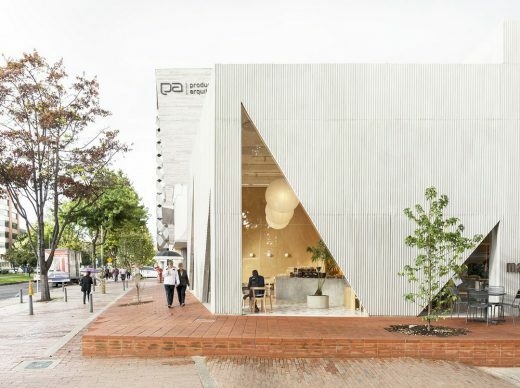 Masa is known for its drive to be unique and the sisters’ single-minded pursuit to produce the best bread in Bogotá. 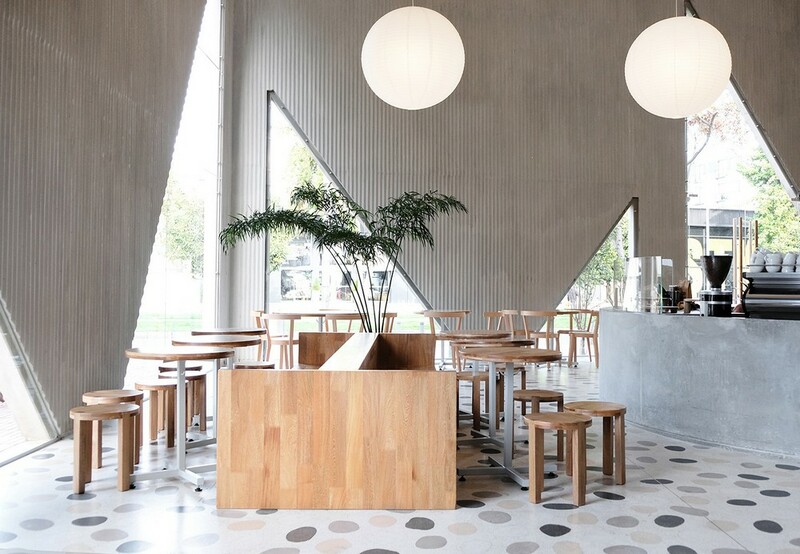 Design plays an important role in their vision of how food should be served and enjoyed. 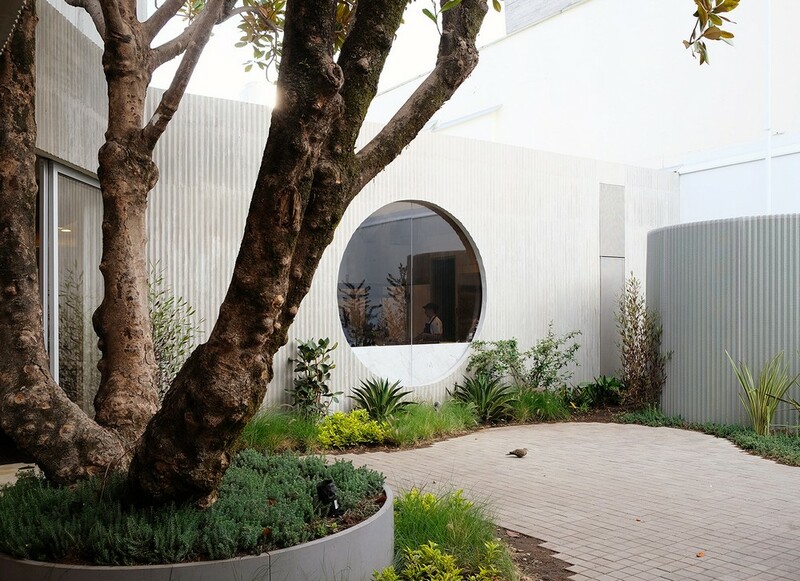 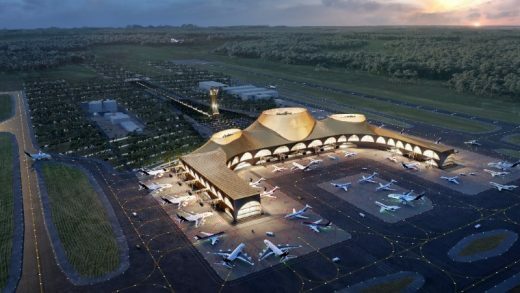 Construction & Coordination: MRB S.A. and ODQ S.A.S.